Before the brief report – the next, and last track night for this winter is on Thursday 9th February 2017. It’s in the calendar, get it in your diaries, and contact Nick to register. This Thursday’s track night was well attended with a mix of club members and invited non-club members. All had a great evening of training, again led by the track coach extraordinaire, Paul West. This obviously wasn’t going to bode well as the warm up got underway at a pace and a half. Far faster than Track SQT warm-up sessions as some said following the first 15 minutues!! From here, training got harder, with intervals,(the longest two minute efforts of your life! 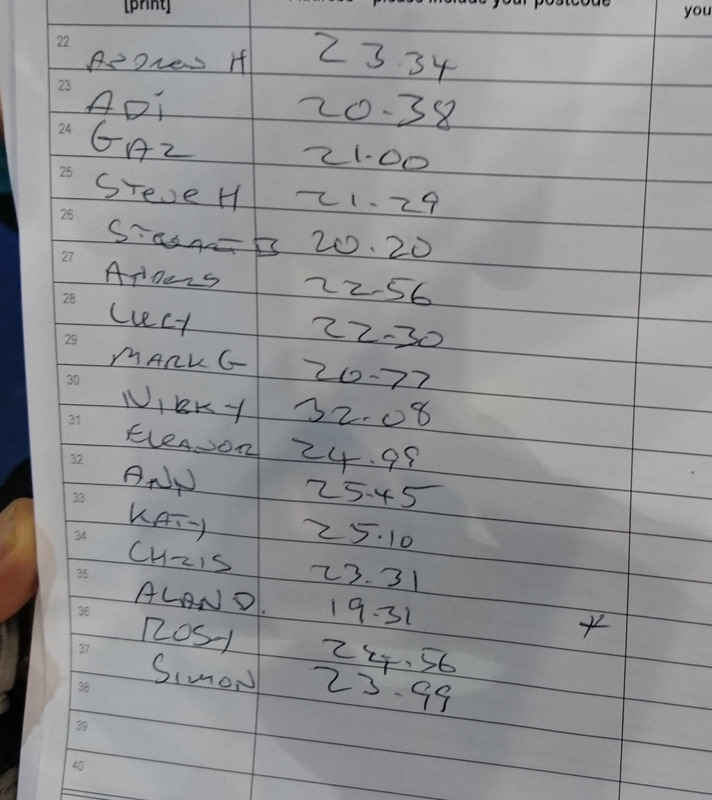 ), pursuit training, etc, and to round off the evening, a 40 lap scratch race, won by a few inches by Jim Duffy from Nick Butterworth, Jim taking advantage of a final long pull on the front from the well-warmed up Iain Young during the final 5 laps. Obviously, the rest of us had been shelled off the back at various points in the brutal leg-burner. Then, prior to a warming down session (always thought this an odd term, commonly used in cycling – why do we not refer to it as cooling down…? ), a standing start time-trial lap, the results of which can be seen in the image below. A great training session was thus had by all. 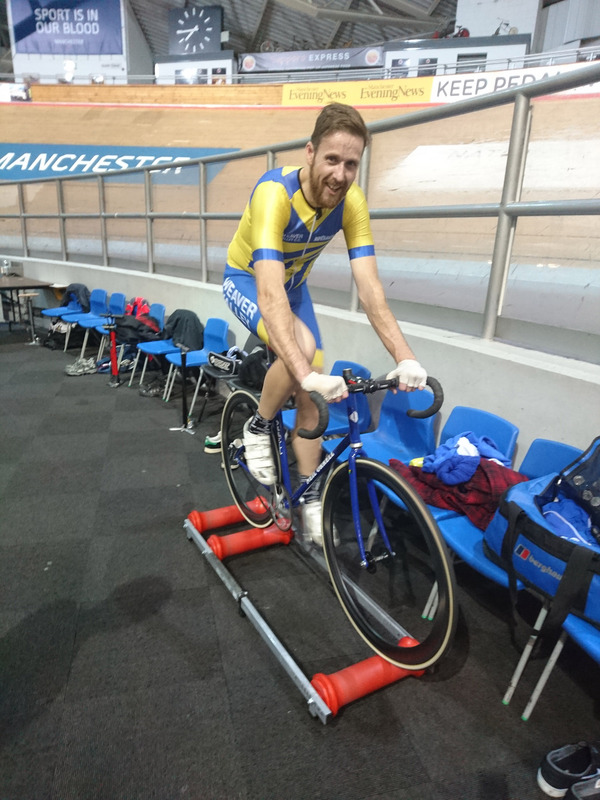 Thanks once again to Paul for his excellent coaching skills, and for those members who haven’t had a go on the track yet, I’d encourage you to have a go. Riding a fixed wheel bike without brakes, on a steeply banked track isn’t as intimidating as you may think! !